Few days ago, it was almost winter. Then – all of a sudden – it changed to almost summer. I took this photo yesterday, but the weather is even better today. 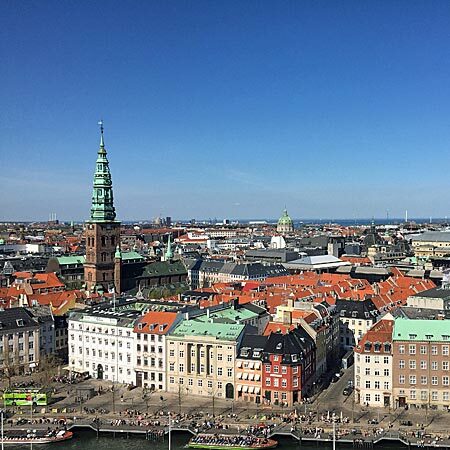 The motive is Copenhagen, as seen from one of the towers: Christiansborg Tower. This entry was posted in BaseWord, PhotoBase on 8 May, 2016 by Erik. I write because Iâ€™m afraid to say some things out loud.